Are you a person whose passion lies in creating an organization that helps in an emergency? Or, are you someone who longs to engage and encourage the human spirit? Wait! I bet you’re the one who wants to educate while shaping values and goals! Then again, maybe your special talent lies in promoting places, people, and things? Whatever brings you to creating your own nonprofit; I'm here to guide your way. In this first lesson, we’ll go over some basic nonprofit terminology. We’ll also look at why you want to start a nonprofit and finish with some ways to obtain your goals. In no time at all, you’ll be able to speak exactly and professionally in the language of your peers. This is an important first step to your full understanding of the path you seek to follow. What, exactly, is a mission statement and how do you get one? That is one very astute question, and the very one we'll be discussing in today’s lesson. We’re going to discover what a mission statement is, how you can create one, and how you get your members to buy in. The purpose of this lesson is to help you understand how to set up a nonprofit board of directors. Boards aren't perfect, and group dynamics can be tough. We don’t live in a perfect world; you aren't going to get perfect results. So, it’s important for you to understand the importance of the work that a board is called to do and the role you'll play in helping those board members be greater than they thought they could possibly be. By the end of this lesson, you'll understand how to maximize your efforts into something meaningful and productive. The governing documents of a nonprofit are its tools of control. Every nonprofit must use two main documents: Articles of Incorporation and bylaws. These documents set the ground rules by which your members and the board of directors must operate. If your organization is ever taken to court for IRS violations, these are the standards that the courts will judge you on. Today, you’ll create your very own bylaws and articles. 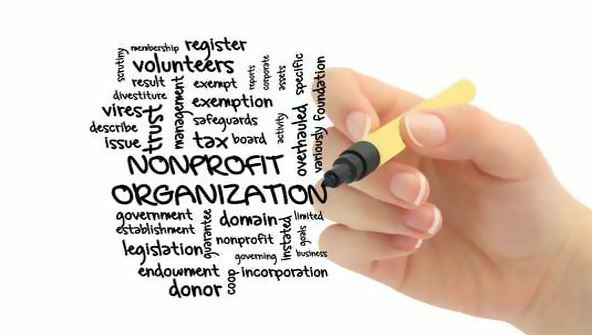 A variety of legal matters apply to getting your nonprofit started. Today, we’re going to look at filing reports and securing licenses, and delve into a few final tax issues. Some of these concerns are governed by federal law; others by state law. You’ll also learn how to operate your first board meeting so you can ratify your new bylaws. The purpose of this lesson is to help you organize for success. Organizational planning requires effort, but there's no cause for concern. In this lesson, you'll find out how to research, brainstorm, discuss goals and objectives, and tactically prepare your organization to reach its goals. We’ll cover planning in all its glorious forms, from operating plans to strategic plans. The smooth functioning of a nonprofit is due to the dedicated work of both employees and volunteers. In today’s lesson, we’ll look at both paid and unpaid staff. To be effective, you must become adept at recruiting and motivating your volunteers and employees. Today's lesson will provide you with the strategies you’ll need to succeed. Nonprofits are expected to spend carefully, honoring the trust others have placed in them. As a result, you need to be especially brilliant when it comes to budgeting and living within your means. Developing budgets that work is a critical part of your upcoming responsibility, and you’ll explore exactly how to do that in today’s lesson. Writing grant proposals, soliciting contributions, and organizing special events are just a few of the fundraising options new nonprofits need to investigate. Today you’ll explore why you need a fundraising strategy, how to get one, and why the board of directors, the executive director, members, and volunteers all have a place in the fundraising program. Today’s lesson is a student favorite! We'll cover the concepts of nonprofit marketing and media relations. You'll understand the basics of community outreach, and you’ll discover a variety of highly effective techniques you can use to promote your nonprofit. The Internet is the single most popular and cost-effective communication tool available to nonprofits. Its influence is so great that your nonprofit will never reach its maximum potential unless and until you incorporate the Internet into your strategy plan. This lesson will help you understand how you can use the Internet to reach out and tell the world who you are and what you do. This fast-paced and important lesson will help you understand the rules governing advocacy. Nonprofits engage in advocacy whenever they work to change public policy. Activities such as lobbying, protesting, or participating in partisan political activities are clearly advocacy efforts, but you could also be accused of engaging in advocacy if you attempt to organize people in your community, work with the media, or educate voters, among other things. Not all nonprofits can participate in these types of activities. Some face legal restrictions on the kind or amount of advocacy that they can do. Today's lesson will help you understand what you can and, perhaps more importantly, what you cannot do.